← Shanghai – the new, modern China that is probably more “western” than any other place I visited. 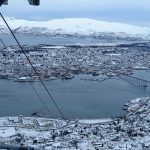 Located over 200 miles north of the Arctic Circle, Tromsø is an amazing, but small town, that invites all travelers with open arms and stunning views. 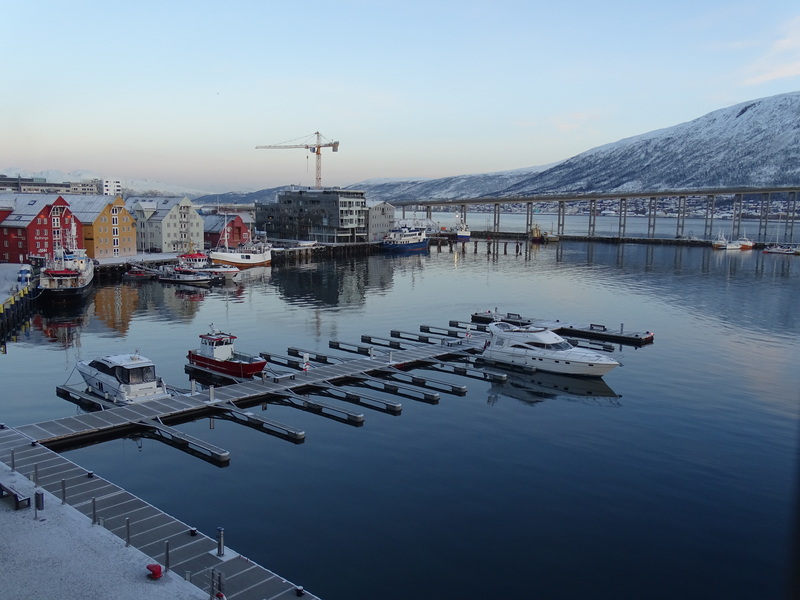 Tromsø doesn’t have boutique hotels, as far as I could tell, and seems to be populated with a couple of major Nordic chain hotels, so my typical effort to find unique places was a bit thwarted on this adventure. But after reviewing the available options, and seeing what the best deal I could find would be, I decided upon the Clarion Hotel With (https://www.choicehotels.com/clarion), part of the Clarion Choice chain. The staff were incredibly helpful and the breakfast in the morning (included) fantastic with everything that you could hope for. When booking, confirm a room with a water view. But be forewarned: the rooms are small as you pay for the view, and not the space. Pretty much next to the Hotel With is the Scandic Ishavshotel. I didn’t stay here but as most of the tours either meet here or across the street at the Radisson Blu, either would undoubtedly be an excellent place to stay. 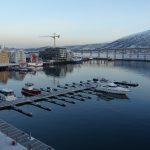 A note on dining in Tromsø: being this far north, and if you’re there in the winter, options become a bit smaller and for a vegetarian, the options even fewer. But they will try so venture out. And if you enjoy fish, you can’t go wrong! If I only had one night in Tromsø, I would go to Bardus (http://www.bardus.no/). Located right across from the library (a former swimming hall), a seat on the window will provide a stunning view of life passing by in a lovely and quaint environment. Although they didn’t have many options for a vegetarian, the chef tried and they were able to offer a starter and an entrée. Another option, albeit located in a hotel, is Marcus Samuelsson’s Kitchen and Table (http://www.kitchenandtable.se/). I loved it, although my friend wasn’t quite as impressed as I was, but the setting was amazing and the staff so incredibly helpful. And the last place that I have to recommend, simply because it was my favourite, even though I didn’t eat here: Campagniet Restaurant (http://www.compagniet.no/). We went to the bar and it was fantastic. It was crowded and the list of wines by the glass, along with the beers, was outstanding! Located on the second floor of an old building in the centre, try for a window seat as watching the city walk and drive by is really mesmerizing. I would love to sit there right now with a glass of wine and tired feet. Most people go to Tromsø for the sites and, as such, guidebooks and websites will tell you the various options available to you. And since we were no different, I can make the following recommendations. If you only have one night – as some of the tour groups did – you’ll want to try and see the Northern Lights. 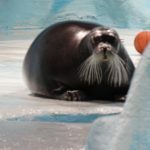 I chose Enjoy the Arctic (http://enjoythearctic.no/). Andrei was very informative and was as determined as we were to see the Northern Lights. It was slightly precarious with the incoming clouds but we saw them and it truly is everything that you think it will be. And props to Andrei for accommodating us with vegetarian food by the fire. Note to the reader: it is cold so put your pride aside and take Andrei up on his offer of a snow suit. We didn’t and it got very uncomfortably cold quite quickly! 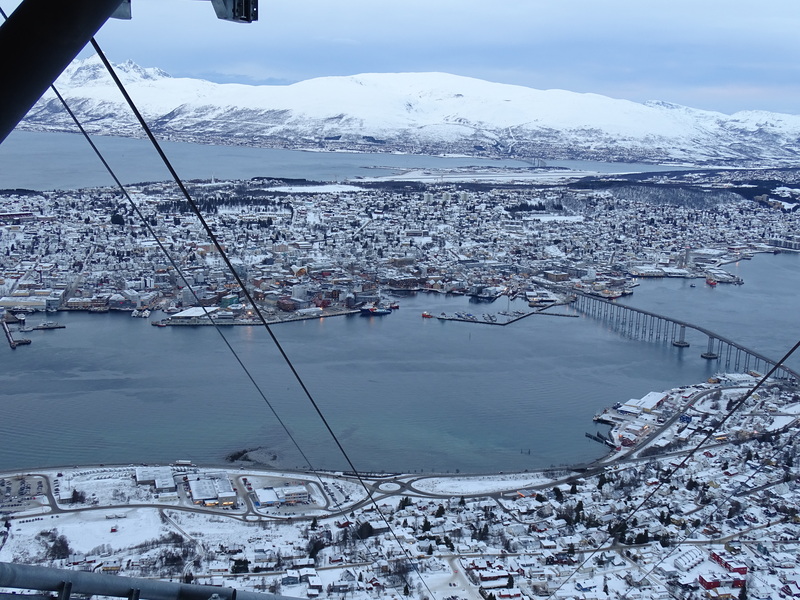 If you have a full day, the first thing that you really should do is just explore Tromsø. It really is a stunning city and really fun to get lost and to find your way back. But if you have a second day, consider doing a whale watching tour. Sadly, because of global warming, the herring aren’t coming as far “south” as Tromsø and, as such, the whales aren’t coming this far “south” either. We chose Fjordtours (https://www.fjordtours.com/). So, a whale watching tour will inevitably require you to take a boat about 2.5 hours north. But it is so worth it; we were fortunate to see roughly 100 orcas and although we couldn’t see the humpbacks – as they don’t really come out of the water – you could see them spew water in the air from their blowholes. Stunning! Polaria (http://www.polaria.no/home.155300.en.html) is amazing! The architectural design of the outside will elicit either a love-it or hate-it reaction: personally, I loved it and the idea that the building is slipping in to the water! 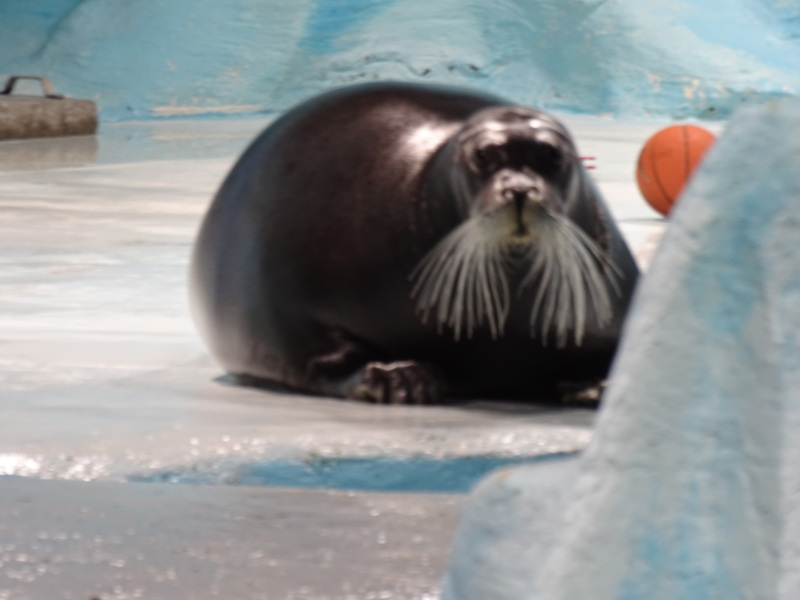 But most of all, I loved Bella the bearded sea lion. When I heard that she was “fickle” and “opinionated”, how could you not love her in all of her big-girlness. But more than Bella, being able to see and learn about sea life above the Arctic Circle was amazing and, suffice it to say, informative. And last but not least, you must take the Fjellheisen (https://fjellheisen.no/en/) to the top of the mountain on Tromsdalen, across the fjord from Tromsø. You can take a taxi over or, if you pay attention to the stops, you can take a bus from the city centre for a lot less. Note to the reader: the bus stop is past the entrance to the Fjellheisen. But trust me when I say that the views are stunning, and with sturdy hiking shoes, you can really enjoy some truly stunning vistas that you won’t get to see anywhere else. 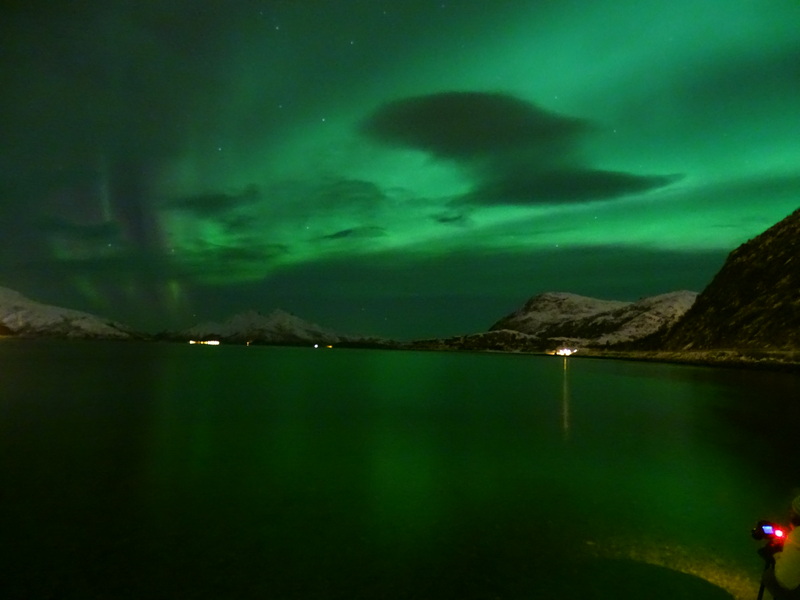 This entry was posted in Tromsø and tagged Arctic Circle, Aurora Borealis, Northern Lights, Orca whales, Polaria, Tromsø. Bookmark the permalink.